Attention, freemove fans! Here comes the ultimate weed fin for you! With this premium quality G10 fin made by T-Zone, you you cannot be wrong as you have the perfect match of shape, material, craftsmanship and price. Therefore, T-Zone is your perfect choice for finetuning of your windsurf board. No matter if you surf at seaweed spots or at ones with shallow water: The T-Zone Free Weed Fin with its inclined fin body has a rather huge surface despite a low depth and can guarantee you a balanced and spinout-free ride on your Freemove Windsurf Board. 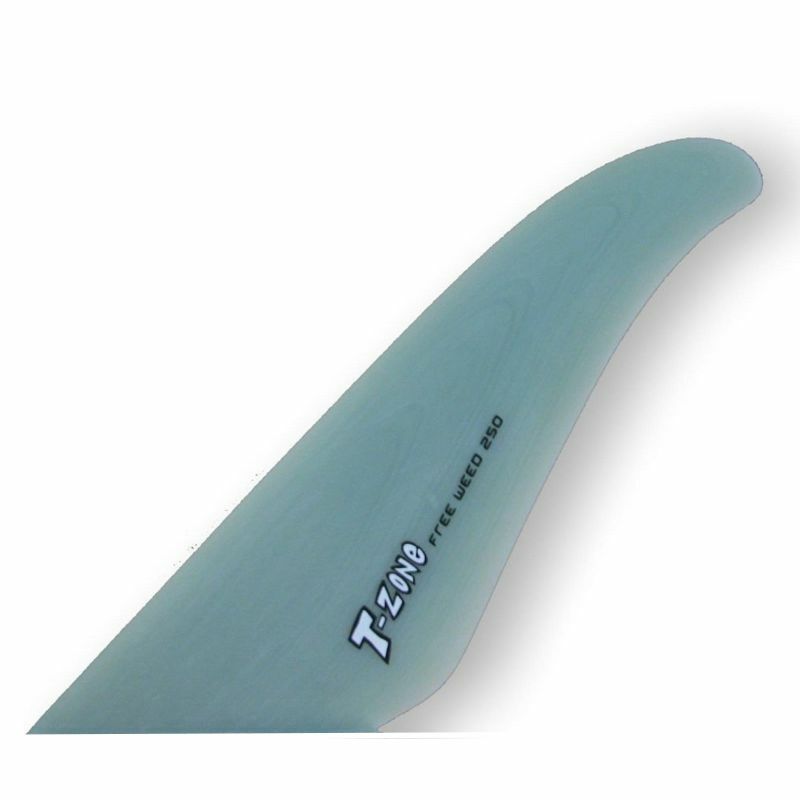 When developing the weed fins, T-Zone resorts to the characteristics of the regular fin series and only adopts them for the weed use. 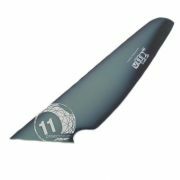 This way, the surf characteristics of the regular Freeride/Freemove fins is conserverd for the T-Zone Free Weed Windsurf fin. With the fin's angle, we achieve the same fin surface although the depth is reduced. This is why you can choose your seaweed fin about 20 % shorter than your regular fin without any performance loss. Thus, this model is your ideal secondary fin for shallow water or spots with sea weed.